The events in Venezuela constitute a political and humanitarian crisis challenging the rule of law. Find out what is happening with this week’s CLP Current Event. If Cuba was the Kremlin’s closest ally in Latin America during the Cold War, now it’s Venezuela, whose vast oil wealth gives Russia direct influence over an OPEC member. That Maduro’s predecessor and mentor, Hugo Chávez, was stridently anti-American made Venezuela the ideal partner. Where is Venezuela? Why is it in the news? Who is in charge of the government? What is a “legitimate” government? What is the role of the military in supporting the current government? What is the role of the military in supporting a new government? 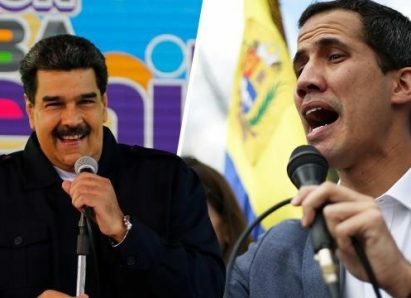 Who is interim President Juan Guaidó? Who was former President Hugo Chávez? Might the current crisis lead to a transition to democracy? How would that happen? What are the obstacles to democratic reforms? How did Venezuela’s history influence its current difficulty? What is the economic situation? How important is oil in sustaining economic well-being? What is a petrostate? What is inflation? Is this a humanitarian crisis as well as a governmental crisis? Is this a proxy war between the United States and Russia? How are Venezuela’s neighbors reacting to unrest in Venezuela? CLP: Charts cover everything from GDP and inflation to food shortages and malaria.